Aly explains how the fascist regime’s imperial conquests were used to elevate the standard of living of ordinary Germans. This made the regime quite popular and dulled any resistance to its policies, including its radical racist policies. Nazi policy makers were very aware of the connection between imperial conquest, expropriation of the wealth of oppressed peoples, and domestic social peace. So much were they aware of this connection that they often sought to micro-manage every aspect of the plunder and exploitation of the conquered lands in order to assure continued German popular support. Aly’s book is important for those seeking to understand the relationship between the First World and Third World today. Just as the average German reaped benefits from German conquests, so too do First World workers reap huge benefits from the imperialist world system. 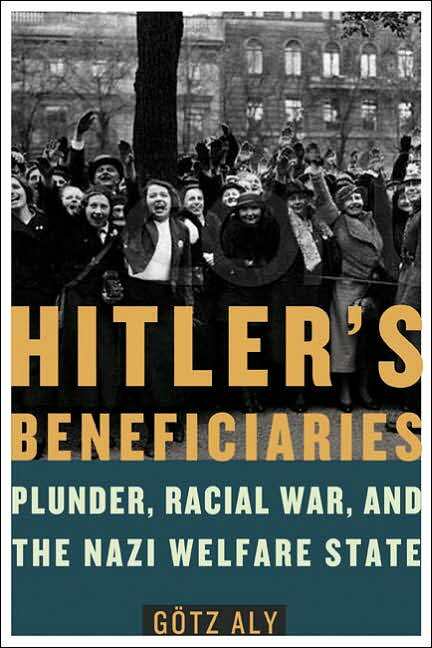 Just as the Nazi regime designed a system to expropriate the wealth of oppressed peoples and other countries to benefit the German population, so too do policy makers today in the First World seek to benefit the populations of the First World at the expense of the Third World. The book is an important one for those seeking to understand how class structure changes due to imperialism. The regime was not dominated by conservative pessimism, but by youthful optimism about overcoming the old divisions between Germans. The regime saw the traditional divisions and inequality between Germans as a big part of the problems that faced the nation. The youthful spirit of the regime meant that it was more likely to take on ambitious social programs to overcome these divisions. The regime put a premium on unity and social peace, at least among Germans. This peace was more often than not bought at the expense of other peoples. Even though the Nazi ideology preached inequality between the races, it placed great importance on equality among Germans. This was the “socialist” aspect of “National Socialism.” Although, in reality, there was nothing truly socialist about the Nazi regime. There is no such thing as “National Socialism,” the only true socialism is internationalist. Real socialism does not merely represent the interests of a single nation’s workers. Real socialism represents the interests of the proletariat, which is the international revolutionary class. Socialism and communism should not be confused with nationalism. The regime designed elaborate methods to offset war costs and also to keep value flowing from the occupied countries to Germany in order to keep Germans happy. One way that they accomplished this was by requiring occupied countries to pay for their own occupation. These occupation costs were used to exact more and more tribute from the defeated. For example, the French complained that the tribute paid to Germany for occupation costs was being used for things that had nothing to do with occupation. (78) In Greece, plundering wiped out “some 40 percent of real Greek income” in 1941. (248) This was part of a larger process of shifting the burdens of the war away from Germans onto other peoples. This was repeated elsewhere in occupied areas. This second currency made the short term transfer of value easier, but it also had the side-effect of destabilizing the local currencies of occupied peoples. This made long-term transfer of value more difficult because the introduction of a second currency controlled by the Germans wrecked the economies of the occupied peoples. The introduction of the certificates helped streamline the short-term plunder of occupied peoples. Later, in 1943, these certificates were withdrawn to stabilize the franc in France. (87) This was part of an ongoing conflict between policy makers. Some sought to transfer as much value back to Germany as immediately as possible to offset war costs and keep Germans happy. Others recognized that there would be a bigger pay off to Germans if the economies of occupied countries were kept stable. More value could be siphoned off to Germany in the long term. In 1942, when debate arose over the failure to enforce customs policies, Göring intervened, “Mr. Reinhardt, desist with your customs checks. I’m, no longer interested in them… I’d rather have unlimited amounts of goods smuggled in than have customs duties paid on nothing at all.” The Nazi elite intervened against the bureaucracy and in favor of the ordinary German. Thus ordinary Germans benefited in a very direct and tangible way from the occupation of defeated peoples. Throughout the war and occupations, debates arose within the regime about how best to transfer value out of the defeated and occupied countries. Bureaucrats weighed the pluses and minuses of short-term and long-term strategies. However, throughout, the Nazis were very aware to design occupation policies to benefit the German state, but also to benefit the ordinary German and keep the social peace. In 1942, one official wrote that his job was to relieve “the home front as much as possible from the need to send supplies.” All that was left over that “the Wehrmacht couldn’t find a use for” was to be sent back to Germany. 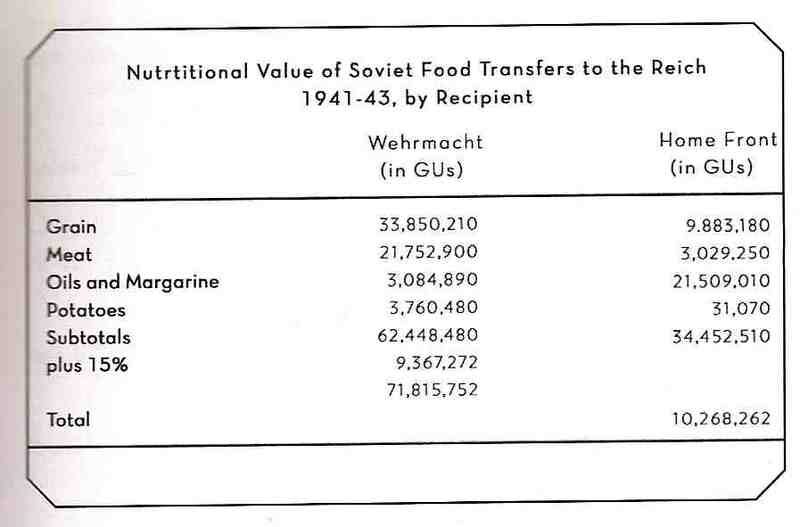 All of these popular measures combined in National “Socialism.” The Nazi regime kept Germans well fed. It turned genocide and the conquest of other peoples into a gold rush. Ordinary Germans willingly participated. “[C] oncern for the welfare of Germans was the decisive motivation behind policies of terrorizing, enslaving, and exterminating enemy groups.” (309) Aly holds that it was the Nazi appeal to the stomach more than ideological pronouncements about the “master race” that kept the German population loyal. “The Nazi regime profited from the basic satisfaction of ordinary Germans, regardless of whether they felt a sense of attachment to or… distance from the party ideology.” (311) Because the regime sought to advance the interests of ordinary Germans, real resistance to the regime “from below” never materialized. Aly dismisses the myth-making that has surrounded a German supposed “resistance” to Hitler. The parallels today are obvious. Just as Hitler elevated the German population on the backs of the defeated peoples, First World peoples live on the backs of the Third World peoples. Just as people waited in vain for a German worker’s revolution against Hitler, they wait in vain for First World worker’s revolution. The Nazis were not defeated internally, the Nazis were defeated externally, by the Red Army. German workers did not oppose the Nazi regime because they benefited from it. They willingly joined in the cannibalization of other peoples. Today, First World peoples as a whole join with their own rulers against the peoples of the Third World. We are in the middle of yet another world war, a war by the First World against the Third World.This war only benefits the First World at the expense of the Third World. Just as Hitler was defeated by the Red Army, so too must the First World be defeated by a global people’s war led by Leading Light Communists. Karl Marx famously critiqued the idea that history should be explained as a series of great men. Instead of looking at history as the result of great men or cabals of great men, Marx looked at history scientifically. Marx looked at the world through the lenses of power. Marx traced historic and social phenomena back to power systems of classes, nations, and genders. Marx called this historical materialism. Aly applies historical materialism to the question of how Nazism could have happened. Aly extends our understanding of the relationship between fascism and social democracy. Aly’s book develops the analysis of the Comintern in the 1930s. Whether Aly is aware of it or not, Aly stands in the tradition of Marxists like Rajani Palme Dutt and the theories of “social fascism.” Aly casts aside “leftist” dogma. Rather Nazism is explained by ruthlessly looking at its material origin. The Nazis represented an alignment of social forces, which included German workers. German workers supported the Nazis. The Nazis returned the favor. In many ways, the Nazi’s politics was very similar to their social democratic opponents. It was Lenin who criticized the German and French social democrats when they supported the war efforts of their imperialist homelands in World War 1. The revisionists placed their own peoples, their own workers, ahead of the global proletariat by doing so. Lenin, by contrast, advocated the policy of revolutionary defeatism. Lenin sought the defeat of the Czarist empire in the hope that a defeat for his imperialist homeland could lead to a revolutionary situation. Contrary to Lenin, the revisionists of the Second International were the social imperialists and social fascists of their day. They were socialist in name, but in reality, they were imperialists. Even the Nazis’ official party name was the “National Socialist German Workers’ Party.” Today, First Worldism is the main form of social imperialism and social fascism. Like the Nazis in World War 2 and the social democrats of World War 1, First Worldists may use Marxist and socialist rhetoric, they may even claim to care about the Third World, but, in reality, they seek to advance the interests of their populations at the expense of the vast majority of humanity. First Worldism raises the red flag to oppose the red flag. 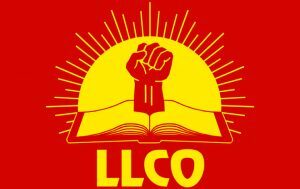 Like Lenin before, Leading Light Communism represents the interests of the proletariat and oppressed as a whole. Just as Lenin made the break with the kind of narrow, unimaginative, dogmatic thinking of his day, so does every real revolutionary scientist, so too does Leading Light Communism. 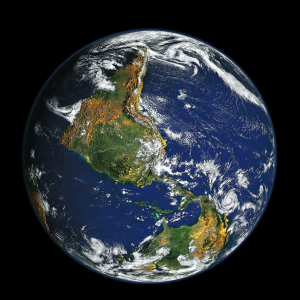 The First Worldist outlook is not based on scientific analysis, it is based on dogma. Aly helps demonstrate the bankruptcy of First Worldist chauvinism and the vulgar “workerism” that simply assumes that everyone who makes a wage or receives a salary has a common interest in socialism. Such “workerism” makes the assumption that all employees have a common class interest and can be aligned for socialism. To maintain that all of those who are employed, both in the First World and Third World, are part of the same class is pure metaphysics. The entire twentieth century has shown us that this is simply not the case. The reason that “communism” is considered dead today is that people can easily see that the rhetoric of those claiming to be “communist” does not correspond with reality at all. Even radical Islam, and its jihad against the West, draws the lines of friends and enemies more accurately than First Worldist so-called Marxism. By contrast, Leading Light Communism looks at the real world. 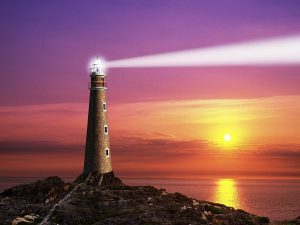 Leading Lights look at the actual historical record; Leading Lights look at the actual way social forces align, not how we imagine them to align. Leading Light Communism has brought science back to communism. The Leading Lights have elevated revolutionary science to a whole new stage. Aly’s book is a powerful weapon in the struggle against buffoonery posing as Marxism.